Elizabeth studied at the Guildhall School of Music and was awarded the AGSM and Salzmann Scholarship. 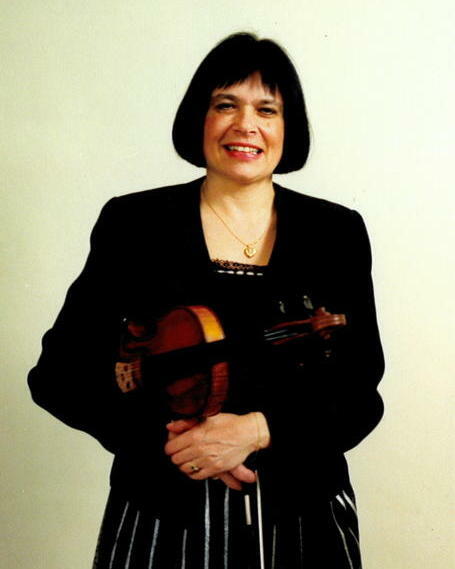 She has worked with many professional orchestras, including the Philharmonia, Scottish Opera and BBC Concert Orchestra, and she has led the Virtuosi of London and Mornington Sinfonia. Teaching commitments have included the Guildhall School of Music, Wells Cathedral School and Epsom College. She welcomes any enquiries regarding her services, or for booking appointments. Please feel free to contact her to discuss these matters. Site design and content copyright © 2009-2018 Elizabeth Ann Binks, all rights reserved.